Our range of products include garnet powder for oil industry. 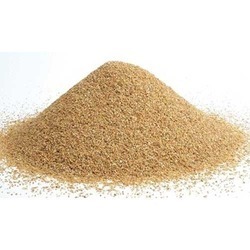 Being one of the reputed manufacturer, exporter and supplier, we offer a qualitative range of Garnet Powder for Oil Industry. The Garnet Powder which we offer to our clients is pure silica and extensively acclaimed for its 99.7% SiO2 quantity and high purity. To offer high quality range to our clients, we quality check our Garnet Powder on well-defined parameters before delivery. These are offered at market leading rates. Our minerals find their wide application in glass, cement, steel and other allied industries.